Hayat Pharmacy, an independent pharmacy chain founded in 2011, has a strong and strategic presence in Milwaukee, WI. Through its 10 stores located across Milwaukee’s inner city, Hayat’s mission to build and support healthy communities plays out on a daily basis in many creative ways. Hayat Pharmacy has established collaborations with the Milwaukee Fire Department’s Community Paramedic program and the Homeless Task Force; the Betty Brinn Children’s Museum; and the Children’s Hospital of Wisconsin. 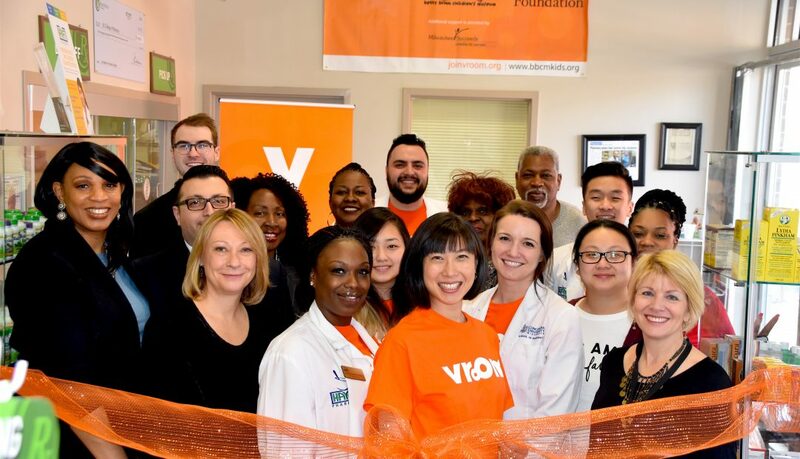 Now, Hayat joins with these and many others across Milwaukee to support children and families by promoting Vroom, an early learning initiative created by the Bezos Family Foundation. Vroom is a set of 1,000+ parenting tips that empower parents and caregivers to play a proactive role in their children’s early brain development. Vroom takes brain science out of the lab and puts it into the hands of parents in the form of tips that transform everyday routines into brain-building moments. Mission alignment: Hayat Pharmacy’s leadership knows the value of supporting families—both from within its customer base and beyond. And Hayat recognizes the value of engaging with communities. When Hayat learned more about other organizations’ work to support families, and how these efforts aligned with Hayat’s missionto “ensure that the people and communities we serve are healthy now, and stay healthy,”it was easy to discuss a partnership. Internal communication and staff allocation: Hayat’s leadership shared with the team how the partnership reinforces the pharmacy’s mission on a day-to-day level. And, a designated representative from Hayat’s leadership team attended additional training on child development and executive function skills via the Mind in the Making program. External communication and signage: Hayat incorporatedVroom messaging on all digital signs in each of the 10 retail stores and parent app-card distribution at the pharmacy and checkout counters. Hayat Pharmacy created vinyl Vroom logos and posters for indoor wall spaces, display shelves and in waiting areas. Vroom vertical banners are used during special events. 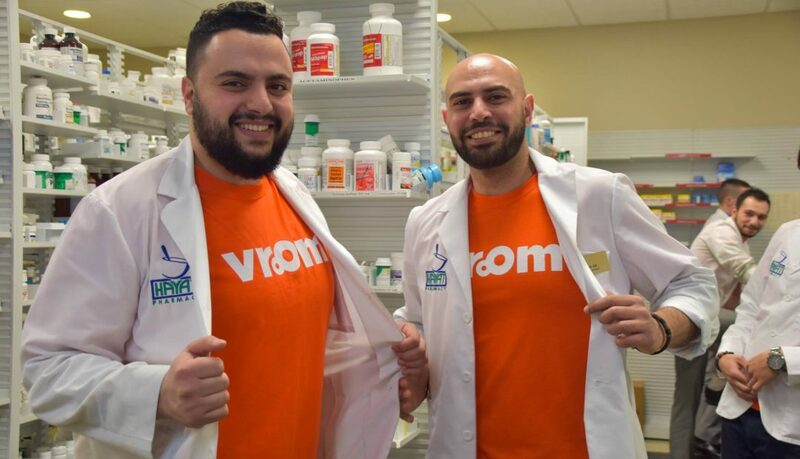 Regular check-in and feedback: The Hayat Pharmacy marketing team has joined the Milwaukee Vroom Community Advisory Committee. Access to business leadership has allowed for the sharing of feedback, iteration and improvement on this retail integration. 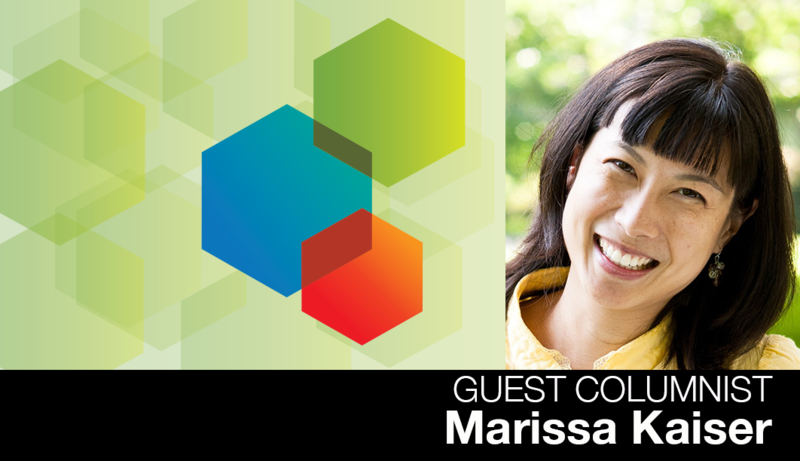 Marissa Kaiser joined the Bezos Family Foundation in 2013 to reach out to stakeholders, build partnerships and develop effective communication channels that help bring Vroom to life. The goal was—and is—to share with parents the amazing brain development that happens in the first five years of a child’s life and to help parents understand their pivotal role in that brain development. As the parent of three young boys—8-year-old Eli, 6-year-old Halleck and 3-year-old Whitman, Kaiser understands the validating message that everyone has what it takes to be a brain builder. Prior to joining the Bezos Family Foundation, Kaiser found her passion ignited through working with organizations that make a difference in our world, including PATH, the Bill & Melinda Gates Foundation and the Robert Wood Johnson Foundation. 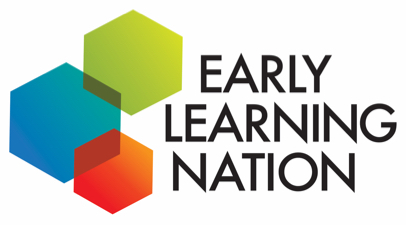 Should Early Education, Home Visiting Fields Seek More Coordinated Education?